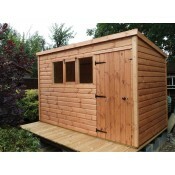 Based in Long Itchington, Warwick Sheds have a long history of supplying excellent quality garden sheds. With a lead time of approximately 4 weeks, each shed is built to the customers requirements - and is erected onto the customers prepared base. The quality of the build can ben seen on our show site in Long Itchington - down Nightingale Lane - CV47 9QZ. Opening times are Monday to Friday between 9am and 5pm, and on Saturday between 10am and 4pm. You can order your shed either online or at the show centre. 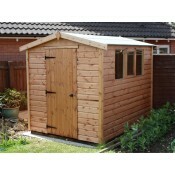 DELIVERY TIME FOR THE SHEDS ARE 4-6 WEEKS This is the traditional garden shed constr.. DELIVERY TIME FOR THE SHEDS ARE 4-6 WEEKS Dutch BarnThis unusual shaped building is available i.. 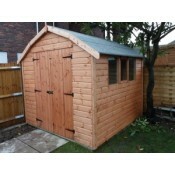 DELIVERY TIME FOR THE SHEDS ARE 4-6 WEEKS This is our Pent garden shed constructed from t.. 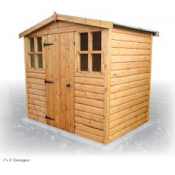 DELIVERY TIME FOR THE SHEDS ARE 4-6 WEEKS Do you like pottering about in the garden or gr.. 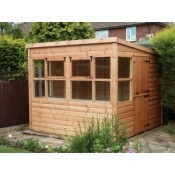 DELIVERY TIME FOR THE SHEDS ARE 4-6 WEEKS The Woodford is available in two styles, either Class..